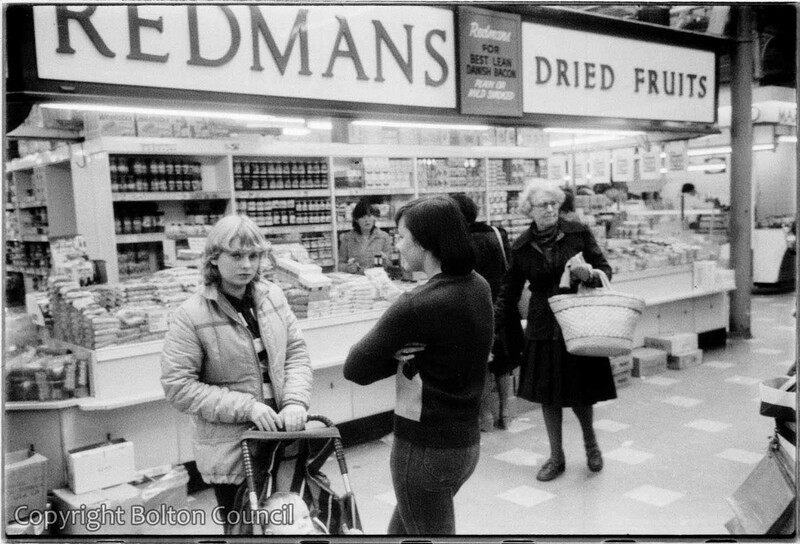 Redmans Dried Fruits stall in Bolton’s market hall in the early 1980s. The hall has now become an indoor shopping centre. Bolton’s other market on Ashburner Street is still open and bustling (2012). Redmans wasn’t only a dried fruits stall, they had nearly everything for breakfast, dinner and supper for a good price! That was the step before the supermarkets and food stores.